P90X is considered as an overall fitness and conditioning program since it targets so many of the body's energy systems. It is ideal to get individuals in great overall shape, the downside to that however, is that no individual sport or training style gets targeted specifically. This should not be surprising, however, since this is a home workout program catered "to the masses," so if you are wishing to train for a specific sport, then a more sport-specific training regimen should be implemented at some point during your training cycle. Type 2 muscle fibers are more intended for power and speed, although they do so by producing energy by means of anaerobic metabolism. As the intensity of any activity increases (heart rate), the body begins to transition from mostly type 1 fiber recruitment to type 2, although this is never a black and white transition, there is always some time with overlap. P90X workouts are intended to be the length of time that they are so that you train intensely during that time, primarily working your anaerobic energy system. Having said that, your heart rate generally stays elevated throughout, as your body compensates for the work being done, so you get some "aerobic" training as well. This is where there is a lot of confusion surrounding P90X workouts. It is common for individuals to feel as though they need to run, jump, cycle, etc. to be working their cardiovascular system (cardio workout). However, the definition of "cardio" simply means to elevate your heart rate above your general resting rate for an extended period of time. By that definition, every single P90X workout could be considered a "cardio" workout since your heart rate will be elevated throughout. Having said that, to effectively train for an endurance event (i.e. marathon) then one should integrate specific cardiovascular training into their regimen to ensure the body effectively transitions its muscle fibers to be more aerobic in nature. 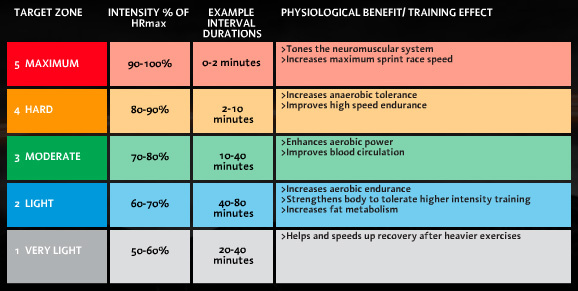 To re-iterate what has been said earlier, P90X will improve your overall fitness, but to train for a specific sport, one would be advised to implement sport-specific training. The Karvonen Method is great to factor in other contributing factors in your overall health. As you can see, using both calculation methods, there is a pretty stark difference between what 85% of my theoretical max heart rate should be (163 vs. 171). The rate at which your heart works has very little to do with weight loss. Your heart rate may give you an indication (estimated) of how many calories you could be burning, but keep in mind that your heart is not the only organ consuming calories when working out. Exercising at high heart rates has been shown to be effective at burning lots of calories, but so has lower heart rates (standard resistance training programs). The fact of the matter, and one that I try and remind people is that the most important thing in any training program, with the goal of losing weight, is to be consistent, find something you enjoy, and work as hard as you can 5-6 days a week. Again, you could be working extremely hard, challenging your body and muscles and never get your heart rate up into the "Maximum" zone. That can still be considered effective exercise!